Mr. Malter is a founding partner of Binder & Malter LLP. Mr. Malter is an AV rated attorney with over 39 years of experience representing businesses and individuals in bankruptcy and bankruptcy-related matters and is one of only nine attorneys in Santa Clara County certified by the State Bar of California as a Certified Specialist in Bankruptcy Law. Mr. Malter has represented thousands of individual and small business debtors in Chapter 7 and Chapter 13 bankruptcy. Mr. Malter’s practice also includes Chapter 11 business bankruptcy and reorganization, consumer bankruptcy, debtor-creditor rights, asset protection planning, distressed real estate, tax disputes, and creditor negotiations and work-outs. Mr. Malter routinely represents clients in business bankruptcy and reorganization, creditor negotiations and work-outs, and matters relating to distressed and under-water real estate. Mr. Malter has represented a number of technology companies in Chapter 11 business reorganization, including in liquidation through the sale and transfer of intellectual property. In addition, Mr. Malter frequently represents clients in tax disputes with the IRS and the California Franchise Tax Board, defends employers in wage claim disputes, counsels under-insured defendants involved in litigation, and represents a wide-range of clients at mediation. Mr. Malter’s practice also includes representing debtors and creditors in bankruptcy litigation, including prosecuting and defending dischargability actions. Mr. Malter has tried a number of cases in bankruptcy court. Mr. Malter has also served as an expert witness in the area of attorney bankruptcy malpractice. Mr. Malter has been an adjunct faculty member at the Santa Clara University School of Law since 1985, where he has taught courses in bankruptcy law and been a guest lecturer on topics such as employer rights in bankruptcy. 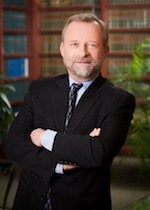 During his three decades of practice, Mr. Malter has spoken to a number of organizations on bankruptcy topics, including the Family Law Section of the Santa Clara Bar Association, California Continuing Education of the Bar (CEB), and the Santa Clara County Certified Public Accountants (CPA) Society. Mr. Malter has also served on the Santa Clara County Bar Association’s Bankruptcy Executive Committee and is a past chairperson, and has been a member of the Northern District Bench Bar Liaison Committee for the United States Bankruptcy Court, the Bankruptcy Judicial Selection Committee, and the Planning Committee for the Bankruptcy Section, Northern District of California Judicial Conference. 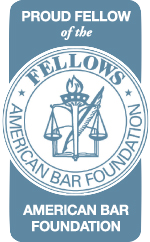 Mr. Malter is a Fellow of the American Bar Foundation, which is limited to a third of one-percent of the lawyers in each state. In 2003, Mr. Malter co-founded the Congressman Don Edwards Inns of Court and served as its President from 2003 to 2005 and Co-President in 2011-2012. Mr. Malter is also the proud first recipient of the Santa Clara Bar Association Pro Bono Volunteer of the Year Award, which he received in 1987. Mr. Malter has been featured in a number of publications, including Esquire, Forbes, the American Bar Journal, Law360, KTVU, and Financial Insider Weekly. Mr. Malter has been named as a Northern California “Super Lawyer” in Bankruptcy & Creditor/Debtor Rights every year since its inception in 2004. Mr. Malter was born and raised on Long Island, New York and attended college in Tampa, Florida prior to moving to California in 1977 to attend law school. Mr. Malter resides in Saratoga with his two teenage daughters and two labradoodles. Mr. Malter enjoys hiking, travel, film and is a master of 60's & 70's rock trivia, having won numerous awards for such in his mind. Over his 35 year career, Mr. Malter has spoken on various bankruptcy topics to a number of organizations, including the Family Law Section of the Santa Clara Bar Association, California Continuing Education of the Bar (CEB), and the Santa Clara County Certified Public Accountants (CPA) Society. Mr. Malter has been interviewed by Michael Gray of Financial Insider Weekly regarding "What you should know about bankruptcy for individuals" in 2013. The interview can be viewed by clicking HERE. An update of this program, entitled "Personal Bankruptcy, 2015", aired on March 9, 2015 and can be viewed by clicking HERE. A companion show, "Corporate Bankruptcy, 2015", aired on March 16, 2015 and can be viewed by clicking HERE.